Boo on you for blaming automakers for an expensive. How about years of oil price manipulation? The government has been able to keep oil prices reasonable for all those years so there was no demand for fuel efficient cars. 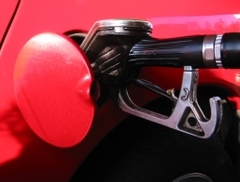 Now, not surprisingly, gas prices spike and there's an increase in demand for fuel efficient cars. Are automakers are supposed to turn their production around on a dime? The price of hybrids will go down as demand and competition increase. Too bad we're stuck living with the reality of a reactive, not proactive, market system. I really enjoyed your article "Race to 100 MPG". These designs are something I think about alot. So what I got out of this is not several competing technologies, but what I hope will be 1 integrated and effective design. A Lightweight and aerodynamic carbon composite vehicle that is powered by a StarRotar engine that also incoporates a compressed nitrogen hydrolic hybrid engine. Awsome! Lets do it. Use bio-diesel to power it (High energy density) and be sure to insulate those nitrogen tanks. Wouldn't won't to bleed energy as heat when the compressed gas cools (and shrinks) in un-insulated tanks.